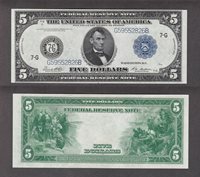 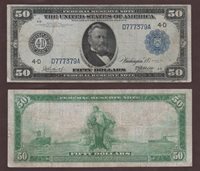 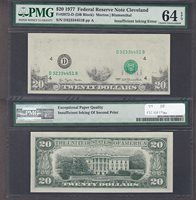 Fr#2072-D $20 1977 D32334451B 64EPQ ERROR-Insufficent Inking Error - The top two thirds of this note are very insufficiently inked. 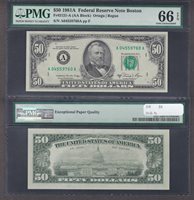 This major under drinking is caused by insufficient pressure when the presses are stopped and re-started. 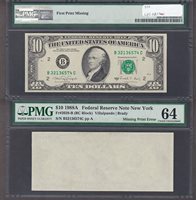 Fr#2028-B $10 1988A B32136574C PMG64 ERROR-First print missing/Blank Back. 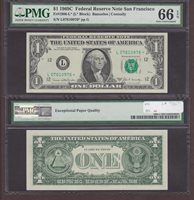 Though this notes only PMG 64 without the EPQ designator I cannot see why. 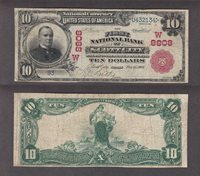 Fr#615 $10 KS 1902RS F+/VF FNB of Scott City, C#W8808, S#93/U432134, Good hand signatures in the left panel faded in the right. 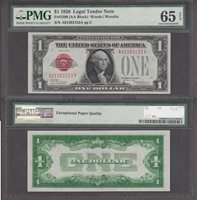 Red Seal colors are still unfaded and the borders fast. 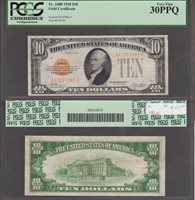 This is the ONLY $10 RS and I have owned it for over 20 years. 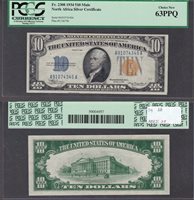 The $5 RSs on this bank have sold for what I am asking for this rarer $10 and more and they are more common. 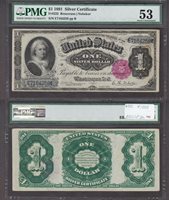 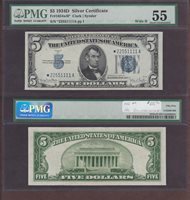 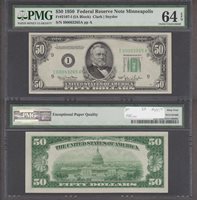 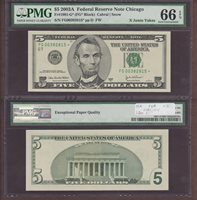 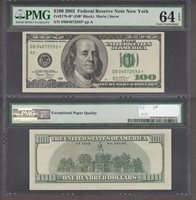 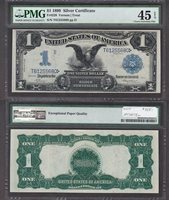 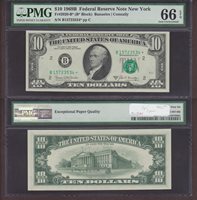 Fr#2173-K* $100 1990 K01053562* 66EPQ Total of eight in all grades at PMG with this note being one of four with only one 67 finer (4/16). 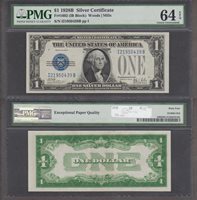 Fr#1602 $1 1928B I21950439B 64EPQ This is a Gem but is being punished for one large margin. 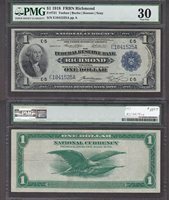 I paid $100 with the grading fees, a super duper 64! 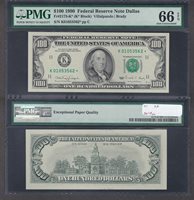 Fr#2400 $10 1928 A47607082A 30PPQ A properly graded PCGS example with obvious signs of paper body and originality on this lightly circulated Gold Certificate. Fr#1654w2* $5 1934D *22551111A PMG55 I took this note in on trade and even though it is pressed it has such a great repeater serial number I thought this scarce Wide II Star would brighten up my listing for the number junkies.